Bruce Riedel chaired the task force who reviewed the US strategy in Afghanistan and Pakistan last winter. The Centre for International Policy Studies (CIPS), an ISN partner, has published a podcast of his talk at the Ottawa Roundtable on Security and Intelligence. After a long career at the CIA and advising three US presidents to the US presidency, Riedel is now a senior fellow at the Brookings Institution. In his talk, he presents the key conclusions of the Af-Pak strategic review released in March 2009. By the way, here is the US white paper summarizing the recommendations which came out of the review. Riedel also outlines developments in Afghanistan and Pakistan in the last six months and looks at the direction US policy is likely to, or should, take. Special Report on Pakistan, published last month. After the German-directed ISAF air strike on two fuel vehicles stolen by the Taliban reportedly cost civilian lives, public calls for clarification are accompanied by both palsy and hectic in Berlin. Federal elections will take place in less than 3 weeks. Media gags, reports of sporadic attacks, Taliban threats to cut off ink-stained fingers – excitement and anxiety abound as voting in Afghanistan draws to a close. Several commentators have warned that a contested outcome – most likely one where incumbent Hamid Karzai does not win the first round with 51 percent of the vote – might result in a constitutional deadlock and a period of heightened instability. Others, however, have lauded the gains that his main opponent, former Foreign Minister Abdullah Abdullah, has made as a sign of progress in an open and fair election process. The election will either heal or deepen rifts in the Afghan polity that have been exposed by the failure of reconstruction efforts and the looming Taliban threat. But what is the situation on the ground? Are voters heeding Karzai’s call to come out and vote? Is democracy, and the hope of a better tomorrow, inspiring Afghans to take the risk and get that ink stain on their finger? 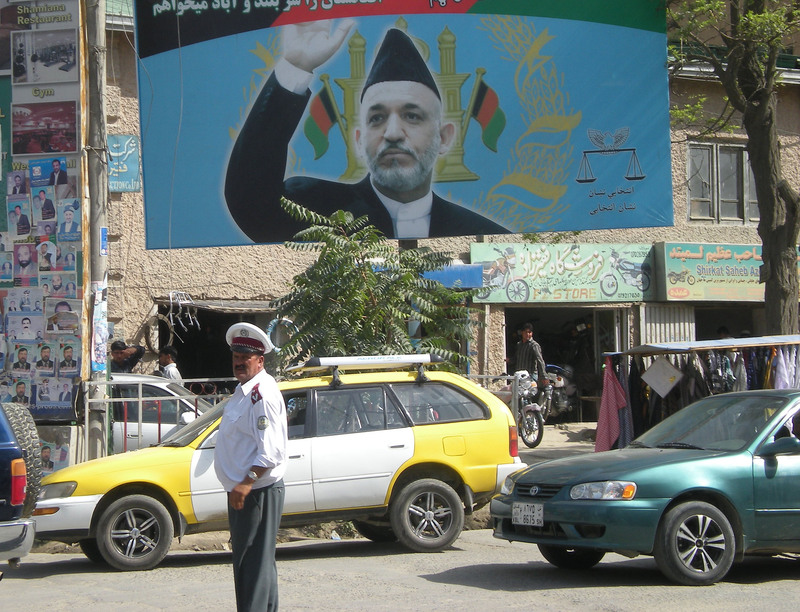 The ISN provides insights into the election process through Anuj Chopra, our reporter on the ground in Afghanistan. In a piece on the election, Anuj highlights the fears and anxieties of many voters who have succumb to the Taliban’s intimidation-campaign. Kai Eide, special representative for the UN secretary general writes for RFE/RL that this election, although difficult, could mark a turning point in the reconstruction effort and the fight against the Taliban. Increased confidence in the democratic process will inspire change and solidify a new strategic vision for the country, he argues. Pictures, courtesy of Monsters and Critics show the election process unfolding– ink-stained fingers and all. This Crisis Group report examines the technical, political and security challenges associated with the current elections. The Media – a Hostage’s Friend or Foe? The story of The New York Times journalist David Rohde’s escape from his captors in Afghanistan raises interesting questions about the role of the media in hostage takings. As has been widely reported, the major media outlets displayed a high level of solidarity by keeping mum about Rohde’s capture for 7 months. By resisting their natural urge to report the hostage taking of one of their peers, the international journalism corps honored the request of Rohde’s family and The New York Times not to make the story public. Some commentators refer to this “media blackout” as a mere case of “professional courtesy.” They point out the double-standard of journalists seeming to be more concerned about a hostage’s safety when the victim is a member of their own profession. At the same time, they freely report on the hostage taking of aid workers, soldiers, or tourists. slideshow that illustrates the real effects of the global heroin/opium epidemic on the population of the country that is known to be the source of the international scourge. It shows faces, realities and fates in a country where opium is readily available and an attractive escape for those at the bottom of an already-fragile socio-economic ladder.